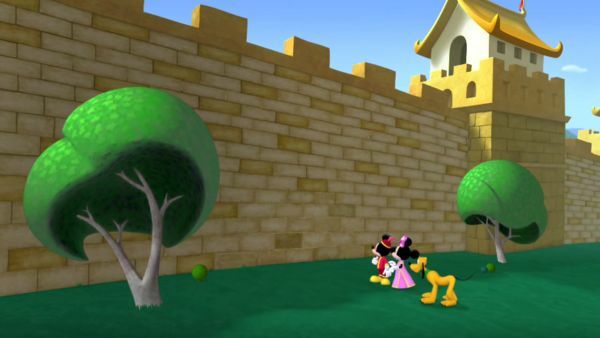 MINNIE: But Mickey, how will we get all the way back to the Clubhouse? The door closed, and the car is on the other side. MICKEY MOUSE: Oh, yeah. You're right, Minnie. Maybe our last Mouseketool will help us! Everybody say: Oh, Toodles! ALL: Oh, Toodles! 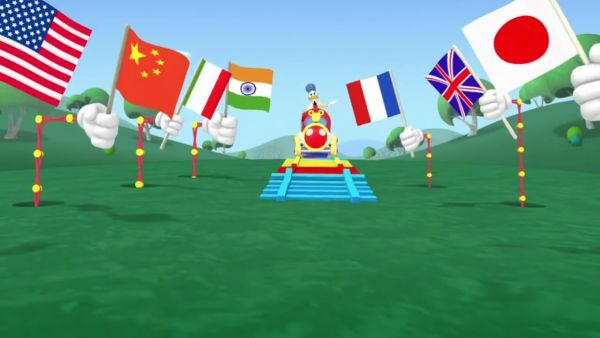 TOODLES: You called? 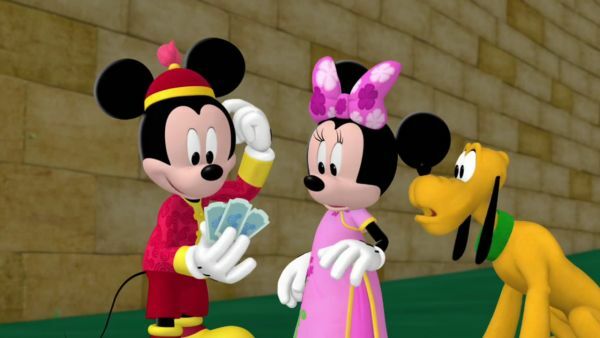 MICKEY MOUSE: All we have left are the three tickets. One for each of us! MINNIE: I hope they'll help us get home to the Clubhouse! 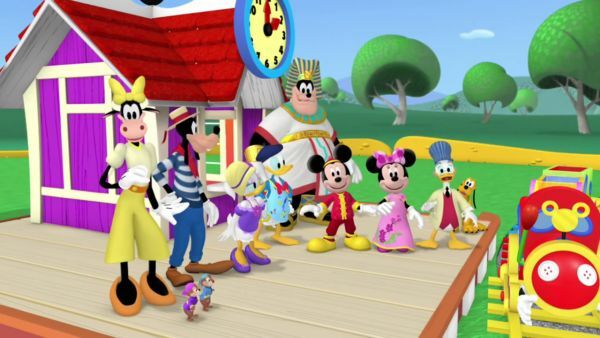 MICKEY MOUSE: We picked all our Mouseketools. Say, Super Cheers! Gee, I wonder how these tickets will get us back. 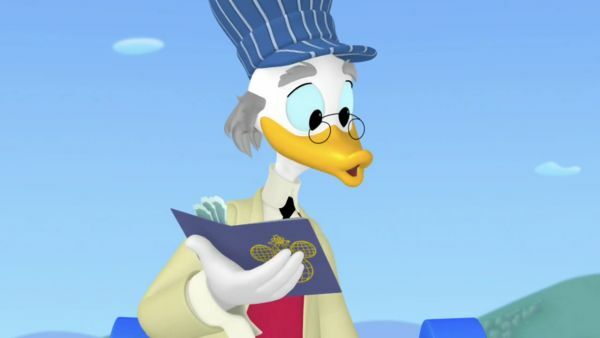 PROFESSOR VON DRAKE: Hello there, world-traveling Clubhousers! MINNIE: Hello Engineer Professor Von Drake! MICKEY MOUSE: Glad to see ya Professor. 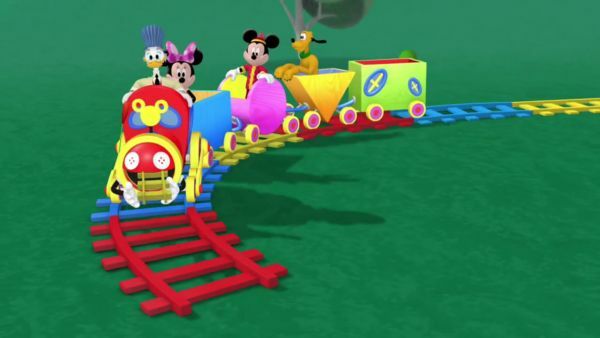 Looks like we're taking the train back to the Clubhouse! 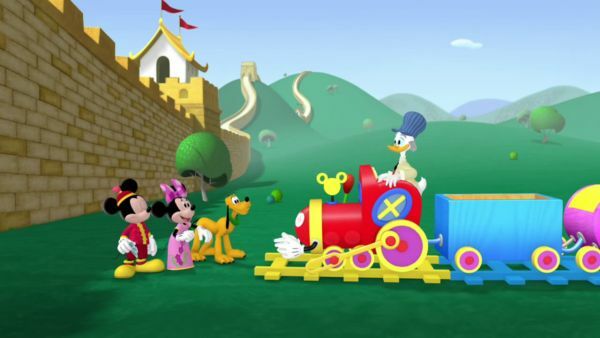 PROFESSOR VON DRAKE: All aboard the Clubhouse Choo-Choo Express! Have your passport and tickets ready, wouldcha please! MICKEY MOUSE: Here ya go! We got all four stamps on our passport! PROFESSOR VON DRAKE: That means you have made it all the way around the Clubhouse World. it's a beautiful thing to travel and dream! 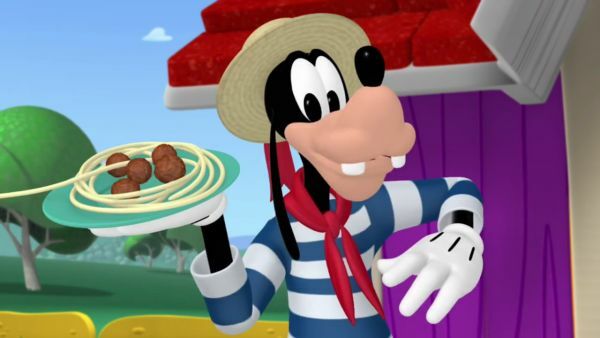 GOOFY: You'll eat spaghetti in Italy! DAISY: And tasty cheese in France! DONALD DUCK: Yum-yum! MINNIE: In China how amazed you'll be Watching dragons that dance! PETE: But don't forget, no don't forget Egypt and all it's grand mystery! ALL: Oh you'll see, You'll see! Yes, you'll see! What a wonderful world it can be! 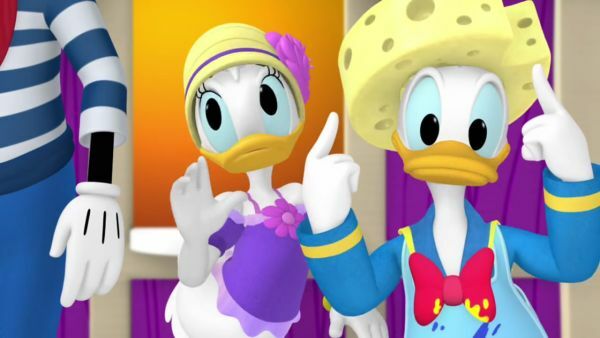 DONALD DUCK: Oui! 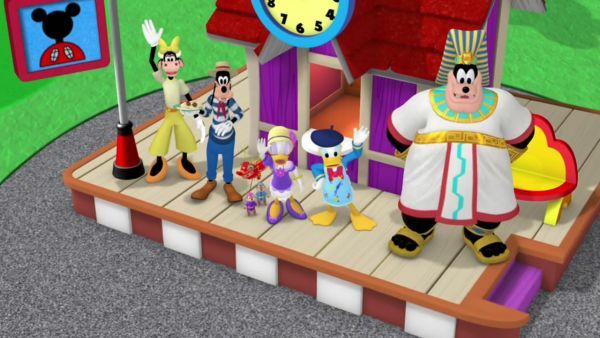 MICKEY MOUSE: Thanks for going on a trip around the Clubhouse World with us today! Now it's time for us to have some more fun together! So stand up and do the Hot Dog Dance!